Our partners in India offer a class that is similar to the ones we do in New York, US, but they use a more Indian classical form of dancing. So, instead of using techniques associated with Broadway, they may perform dances that are traditionally more associated with Bollywood. How did you get involved in the Dance for PD programme? 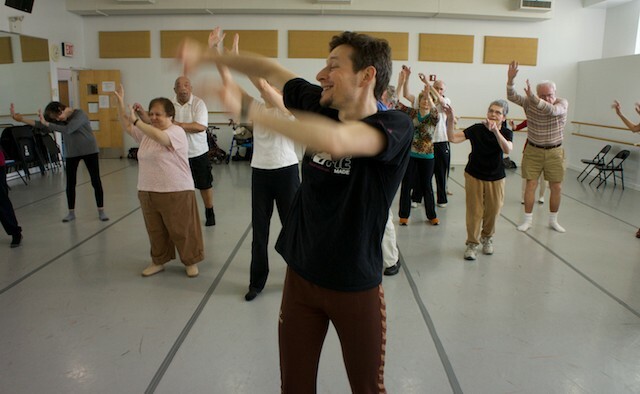 It all started in 2001 when I was dancing for the Mark Morris Dance Group – a dance company based in New York, US – and we were approached by a Parkinson’s support group founder named Olie Westheimer about starting a dance class for those living with the condition. 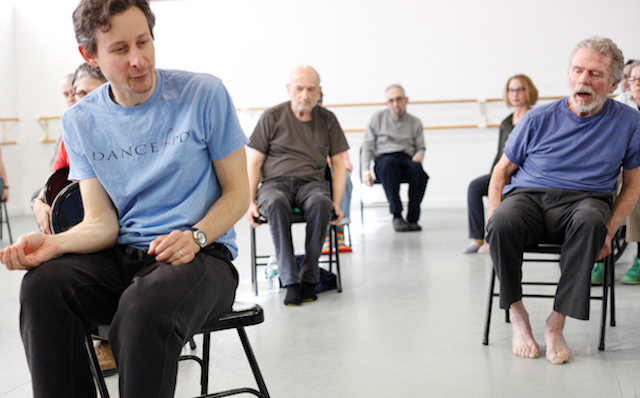 Olie is a great visionary, and she believed that dance classes might provide a highly engaged, social environment that would help people with Parkinson’s mentally as well as assist them with physical and motor issues. Although at the time our centre didn’t have any experience of working with people with Parkinson’s, we all had a love of teaching and a commitment to helping others in our local community. We knew that by harnessing these skills we had a lot to offer to those around us. How many classes did you start with? We started small with just one, that I taught with my friend and colleague John Heginbotham. It was important to start slowly, so that we could carefully build the programme in the right way. Olie was very conscious of us running a dance class, as opposed to hosting therapy exercises or medical experiences. It’s this model that makes us unique – we are offering an immersion that doesn’t focus on exercise and fitness, but takes more of a creative approach. We’ve built the classes around four main elements – physical, emotional, cognitive and social. And has the programme been supported by any medical research? Yes, absolutely. There have been more than 35 published studies on the effects of dance on Parkinson’s and of those a third were based directly on our model. The results have been overwhelmingly positive in supporting what we are doing, and we’d love to see further, more in-depth studies. It’s funny, sometimes when I debate people about the merits of dance they don’t realise how much research there is to support it compared to, say, boxing. Boxing is a great sport for those living with Parkinson’s, but if you look at the research there have only been around three papers on it. There is more than ten times that when it comes to research into the benefits of dance. What types of dance do people enjoy at your classes? Our classes draw on a variety of stimulating activities from several dance techniques. Most of our teachers have a grounding in ballet and contemporary dance, but we also integrate tap, musical theatre and elements of flamenco among others. What we’re also seeing is that although our model is based on specific techniques and approaches, the way the class is delivered varies based on our teachers’ expertise and cultural assets. For example, our partners in India offer a class that is similar to the ones we do in New York, US, but they use a more Indian classical form of dancing. So, instead of using techniques associated with Broadway, they may perform dances that are traditionally more associated with Bollywood. So across the world there is a mirroring going on. There is a consistent format to our classes but the actual concept needs to be culturally appropriate to where the class is taking place. What kind of people attend the classes? Well, as you know, Parkinson’s doesn’t discriminate which means we have a wide range of attendees. What surprises me is that only a quarter of our guests have had any kind of dance training before. We also have fairly equal numbers of men and women. 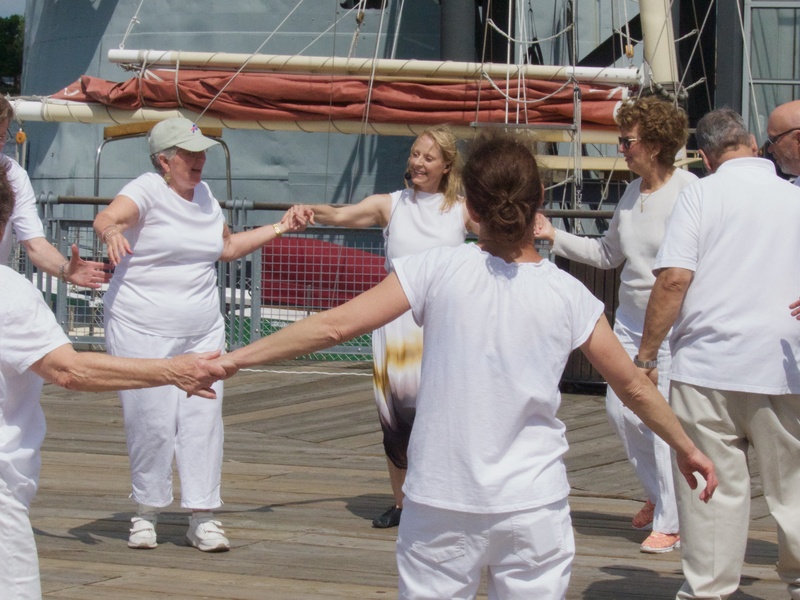 People often assume that we’d have more women as a dance class could potentially be a little intimidating for men but that’s not been the case at all – which is wonderful. It’s also very common for people to participate in the programme with their partners, which is something we really encourage. Dancing together can help maintain a close, intimate relationship and serve as a unifier between couples. It’s a brilliant way to enjoy an activity with your partner. Where in the world is ‘Dance for PD’ offered? We are all over and are currently working in 24 different countries – including the UK, Argentina, Italy, South Korea and Malaysia. What are your long-term plans for the programme? One aim of ours is to provide access to an even more diverse group of people. A wide range of people attend our classes but with diversity we believe you can always do better. We need to look around our classes and ask who isn’t there and who isn’t being served. We want to figure out a way to reach absolutely everybody, regardless of economic, class or ethnic backgrounds. We are also working hard to ensure that our teaching pool represents the communities that we are serving. What inspires you to help those living with Parkinson’s? I suppose it comes from an interest in serving communities through teaching. I’ve been a teacher for 16 years and I continue to be amazed by the incredibly close relationships that we form with our participants. I also think that I am well suited to helping people with Parkinson’s due to the similarities in what dancers and those living with the condition want to achieve. Both groups are interested in different types of movements and the benefits that they can bring. I love figuring out new ways to use my knowledge to help those who need it most. For more information on leisure, creativity and creative therapies please visit the EPDA website here. 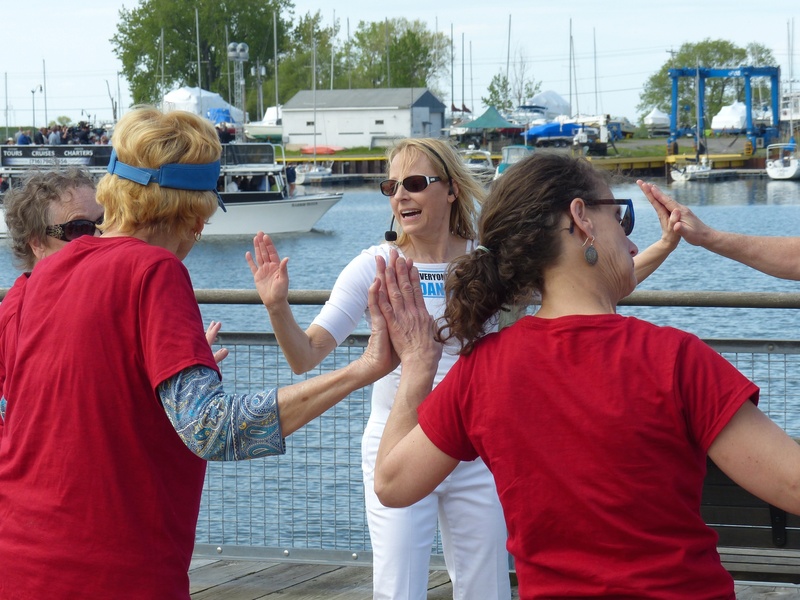 In Buffalo, NY, my Dance for PD “PDdance” class incorporates the physical, emotional, cognitive, social aspects of this program in outdoor classes on our waterfront every summer! Excellent training offered by David Leventhal.